AMAZING PIZZA! FOR AMAZING PEOPLE! Wood fired brick oven pizza. 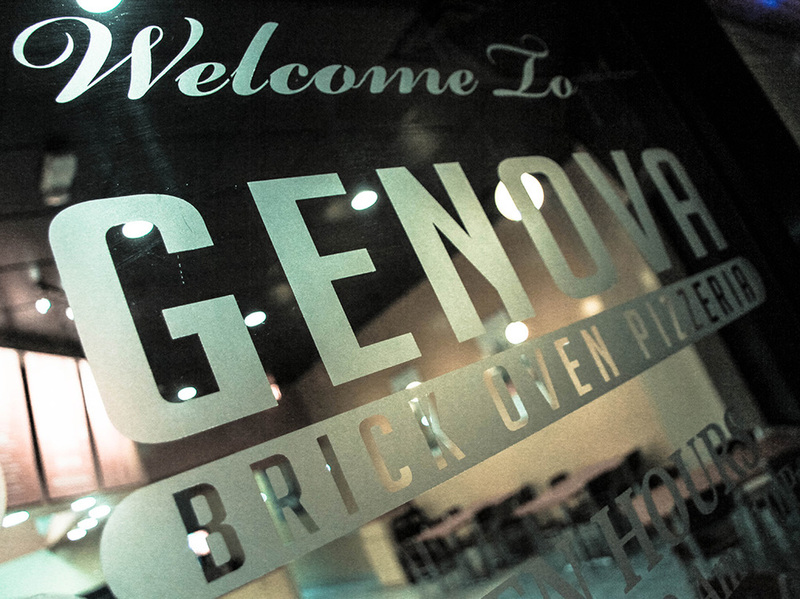 At Genova's Pizzeria you can expect fast, friendly service without sacrificing quality for speed. Grab a bite to eat during your lunch break or bring the family. Get your fix for neapolitan style pizza without breaking the bank. The secret goes deeper than the sauce. Caputo flour is 100% natural, without any additives. With only between eleven to twelve percent gluten content, pizzas baked with caputo flour will fill you up without weighing you down. Discover the right combination to curb your craving. Go on. Make it yours. Can't decide what you want? No problem. Take your pick from a wide variety of high quality ingredients such as thin-cut, sopressata sausage and fresh mozzarella. Put a unique spin on a classic or make it up as you go. It's up to you. 800° of peaceful intensity. Each hand-kneaded pizza is baptized by fire and brought to your table in minutes. A lot of things have changed since the dawn of civilized eating. Others have not. We bring you the best of the old and new: our wood fired brick oven. This is where all the magic happens. By combining the delicate, yet satisfying qualities of our dough with the high heat of the oven, our kitchen delivers a little piece of Italy to each customer in a hurry.